brokerWOLF's flagship program is a powerful brokerage application designed to manage all accounting and back office functions of a real estate office. "Lone wolf webs site review"
I do not have anything to compare it to since this is all my company has ever used. In do like the intranet to be able to send an email to all agents in the company. Not sure. Seems Wolf connect is just a site that is a "holding site" it offers real estate companies a place to list/offer agents access to services/contractors for marketing. Many of the things my company offers in terms of marketing, I must pay for:( It appears to be all about what the real estate company offers for the agent and nothing else. Ridiculous you are forcing me to take a screen shot. If you thought I was not a user of wolf connect, why did you send me the email? Do not force us to send G2 crowd a screen shot if your asking for a review. I am able to get necessary real documents for a transaction. The customer support, hands down. You basically never have to wait on hold, either. These people actually care, and they will help you solve problems step-by-step. They are very friendly, VERY knowledgable, and among the best customer support providers I have ever encountered. If the service providers can't solve the issue right on the spot, they will figure out a solution in a timely manner and send you an email or call you back. If they email, it's always super well done and step-by-step...often times with screenshots. They don't technically provide any accounting advice or even book keeping advice, but they provide all the advice that they possibly can without breaking any laws...and it;'s super helpful because I often feel like I'd be helpless without them, or I'd have to pay a consultant some good money to get what I need answered. They are like a team of consultants who know current laws quite well and understand the accounting process very well. The system interface makes sense, but it is unattractive and rather clunky. That being said, the interface is probably an acquired taste as I find myself liking it the more I become comfortable and efficient with it. Get it, do the training, spend at least an hour every few days on it, and you will become comfortable with it. Providing a complete accounting system, transaction processing system, as well as agent record management system. Thanks so much for your review! I’ve forwarded it over to our Support dept; they’ll be very thankful for your kind words! I like to think of our Support team as an extension of our software. They know the real estate industry so well that they can help brokerages in many different ways. I’m glad you could take advantage of their expertise. If you’re not too busy, we'd love to have a quick chat about your experience with Lone Wolf. Let me know if you’re interested at clientsuccess@lwolf.com! "Broker Wolf Real Estate Accounting System after 2 Years"
Designed to be an all in one accounting and Real Estate Brokerage integrated system. Once we got it up and running was very reliable and comprehensive for Managing agents, commission and accounting, agent billing, Disbursements, Escrow. Don't listen to anyone that tells you this system is easy to use. The functionality is comprehensive which means set up is complex and critical. Know your business processes (everything) before training and make sure you have the right staff dedicated from the start with the ability to analyze and fix accounting issues. Consider simpler commission accounting systems with quick books integration if you are smaller. Commission Accounting, Agent Billing, Agent Management work very well. We discontinued GL and outsourced to Quick Books due to complexity and lack of banking integration. The commission accounting piece is very reliable. Thanks for your review! I’m glad to hear you’ve been able to reap the benefits of brokerWOLF for your agent management, commissions, billing etc. Admittedly, because brokerWOLF is so comprehensive, it can be a little intimidating at first. That’s why we offer a host of helpful resources for all of our clients, including help articles, video tutorials, as well as regular training webinars. I recommend these resources to all of our clients, as they’re very in depth and help users such as yourself gain a fuller understanding of the program. We want to help you to have a seamless experience with your brokerWOLF, and we certainly don’t want you feeling that it’s too complex! Please feel free to send me an email at clientsuccess@lwolf.com and we can have a quick chat about getting you some more resources/support so you can make the most of the program! "I like Broker Wolf/Lone Wolf because its simple"
I like Lone Wolf because it is simple, once you get into the program and work around in it you can see how easy it is so if someone who hasnt been trained can at least do the basics. That it is a little behind the technology and upgraded to something that is more digital or with the times. If they can come up with a way of getting rid of old files/information so we do not have 1,000 + properties. If my agent clients withdrawal from a listing then we go in there and put canceled. It should show up anymore on the search, should only be active, unless its one address i put in specifically. If we are going to keep them or not. We are having some issues that my Brokers have brought to their attention that need to be fixed for the money they are spending. "Complicated Accounting System for a Real Estate Brokerage"
Nothing except that brokerWof is an a well integrated system for accounting and transaction management of a brokerage. Far too complex to make simple changes to an entry. Far to complex to input a transaction. Far to complex to close and deal and complete payments. No integration with bank feeds. It is DOS based and very difficult to navigate and use. There are a number of other accounting and transaction management systems that are far better and easier to use. We are currently using Loft47 and Xero for ackend transactions and accounting. It is far easier to use and cost half the price. Real estate brokerage for backend transaction management and accounting. It alows to track a trasaction for when it is listed or executed until it closes to dtermine who get the comission for the deal when it pays out. The amount of reports that it could spit out that were real estate specific. All the data entry, didn't work with other companies. Our brand recommends it, but I tell other broker to look elsewhere. "Brokerwolf has given me my time back!" The program pulls transaction info from Skyslope so there is less entry when processing closings. Long training period with lots of information to remember. It is worth the money! They have a very good training and support and are constantly looking for ways to improve their service. Brokerwolf has reduced time and amount of data entry almost in half. This also reduces change of incorrect data entry. Closing one transaction creates all the checks I need including release of earnest money where in Quickbooks I would have to create each individual check. Thank you for your review! I’m very pleased to hear about your positive experience with brokerWOLF. We built the program to make things like transactions easier, faster and simpler—and giving users more time in their day is what brokerWOLF is all about. If you’re interested, I’d love to have a quick chat about your experience! Please feel free to drop me a line at clientsuccess@lwolf.com. The updated features, has the system moving along faster, which makes it better to use and work through. Some of the features for pulling certain reports would help for better accuracy. Their are some functions missing that would be great if they were added. We are being able to pull reports when needed for individuals and for teams. We are able to keep track of our P&Ls. We have realized that LW is a great system and we are able to keep up-to-date status of what we need. "It's very easy to use for real estate transactions. " It's all easy set up in this software. If you will learn from the beginning how to use keywords, it will be faster to use. It takes 5 minutes to enter the real estate transaction and cut the check to the broker. You can download Lone Wolf program on several computers. Sometimes, I had a problem with specific dates for reconciliations. They offer the tutorial videos if you don't know something, but I take time to watch them I'd recommend having like chat help on their website. It will help to solve the problem faster. I would recommend to all real estate companies to use this program as it's easy to use for an accountant and just for a regular employee in a company. You can have an access from several computers. We us Lone Wolf in our real estate company to enter transactions and cut the checks to broker and agents. Benefits are easy to use and the job can be done really quick. Thank you for the great review! Our team works hard to provide our clients with the best solutions, so we are happy to see that reflected in your experience with Lone Wolf. We would love to discuss your experience further, please feel free to reach out to concierge@lwolf.com. "brokerWOLF not unique, but works well"
The ease of use is a major selling point for brokerWOLF. With all of the varied responsibilities of today's real estate professional, knowing that the back-end accounting software will keep everything organized is a major relief. The dashboard is really straightforward, and pulls information directly from the MLS, limiting the level of effort needed to keep track of every transaction. The user interface design is not a great selling point; it's dated and feels very sterile, but in the end it still gets the job done. As with all things, I would recommend keeping an open mind. Many third party vendors do seem pushy, just trying to make sales, but there are just as many who offer a legitimately helpful product. Simplification for agents has been the main benefit for us; we've been able to integrate the brokerWOLF API to build an SSO and allow agents to work seamlessly between their account information with their brokerage and the accounting software via brokerWOLF. "Product is Decent; Not User-Friendly"
What I like best is the types of reports you can pull, and the various information you can gather from them. I strongly dislike the interface itself; the appearance looks like it is from the 1990's or before. Custimer Support Service is just okay, sometimes they take a long time to get back to you. BrokerWolf takes actively learning the system to be proficient in it; it has many great tools, but it definitely is not user-friendly. We are able to measure and track more accurately than we were before, as well as pull certain reports on a weekly basis to measure growth. I like that I can put all the information I need in one location. It's easier to see an overview of a transaction and who is involced. Sometimes difficult to figure out how to correct mistakes. "Easiest accounting I’ve ever done!!!" I like how easy the software is to use. I’m not very good at the accounting, until now. I love how it walks you through what you need to do it really benefits everybody. "Good Reporting and Management tool"
"Good Program for RE Companies"
I like the integration from SkySlope to BrokerWolf so that it ends the manual entry of contracts into BrokerWolf. Wish there was a duplicate button. Sometimes there is a need to do a manual entry and if you have 10 lots with the same buyer and seller (and contract dates), but 10 different contract's it's easier to hit duplicate and just change the address. Make sure to have an established timeline of when certain training is happening. Using this program has reduced the data entry times. So far, there is nothing that I dislike. Glad to hear that you’re enjoying brokerWOLF. We’re really proud of our agent management reports—they make decision making and financial planning much easier. And you can’t really get that kind of value from an off-the-shelf accounting solution. Now, brokerWOLF also has dozens of financial reports you might not be aware of. These reports work in conjunction with our agent reports to paint a complete picture of the brokerage’s operational and financial health. Feel free to email me at clientsucess@lwolf.com and I can help point you in their direction! When it works, it's decent and efficient. The software is NOT intuitive whatsoever. For starters, the UI is extremely outdated and whenever issues arise, customer support takes forever to attempt and resolve the issue. brokerWolf is one of the better products in their line of services. While it needs an update, it does sync well with other products. It disconnects every 5 minutes... literally. Reaction time is very slow. The process to handle all transactions can't just be one simple step... it's about 7-10 clicks/steps per transaction. In real estate, it does handle a transaction from the time it is listed, to close, which benefits to have it all in one place per transaction. We are sorry to hear that you are having challenges with your Lone Wolf software. If you would please contact clientsuccess@lwolf.com, we would love to discuss your experience and a solution further. 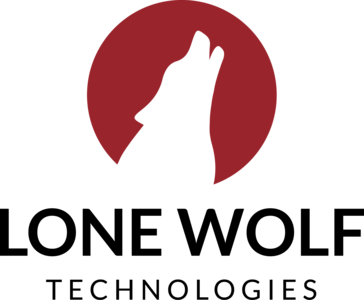 * We monitor all brokerWOLF reviews to prevent fraudulent reviews and keep review quality high. We do not post reviews by company employees or direct competitors. Validated reviews require the user to submit a screenshot of the product containing their user ID, in order to verify a user is an actual user of the product. Hi there! Are you looking to implement a solution like brokerWOLF?